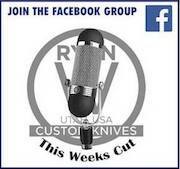 Welcome to THIS WEEKS CUT - Podcast! I self medicate my A.D.D. with hobbies. I hope to share some interesting conversations with my followers on my Podcast. I am not always politically correct, factually accurate or pronounce everything correctly.... but I have fun!